Something about the coming of Spring has brought out the shopper in me... 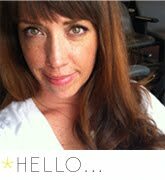 I am so looking forward to Spring and Summer and for shedding the winter layers! Having lived in L.A. for the past 7 years, you'd think I would be a bit of a label snob when it comes to clothing, shoes, and such. Actually, I'm the exact opposite. I prefer for people to NOT know what brand I am wearing (you'll never see me with a brand label plastered on any of my clothing or accessories). I definitely don't have a problem shopping at consignment stores or thrift stores and, quite honestly, most of my favorite pieces of clothing were found at the Salvation Army or the Good Will Thrift Stores in L.A. I've heard that the D.I. (for those of you that aren't Utahns, the D.I, or Deseret Industries, is the Utah equivalent of the Good Will) can have some good finds once in awhile... you just have to weed thru the mock turtlenecks and Christmas sweaters. Speaking of shopping, I love a good bargain. I don't discriminate against stores just because a certain 'type' of people shop there (well, maybe against Hot Topic). I remember it being a HUGE dis to say to another kid, "Where'd your mom get that outfit? K-Mart?!?!? Ahahahahahahaha!" Now I'd gladly buy an outfit from K-Mart if it fits me well and is something I like. Anyway.... I was doing some online shopping and I stumbled across the Old Navy website. 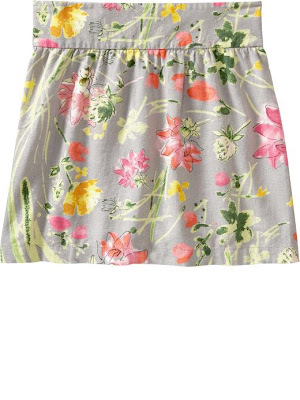 Old Navy can have some cute things but generally I find their clothes to be shapeless and cheap-looking. Not this time! Behold, exhibit 'A' below.... love, love, love this dress. And guess what? It fits like a dream. So super cute with boots and tights (when the Spring weather just isn't cooperating) or some cute flats or even flip-flops! This dress is so versatile... and I've even paired it with a different belt for a more polished look. Love it. And at $15 or so dollars.... can't beat it! I also got this super cute dress and it has POCKETS!! 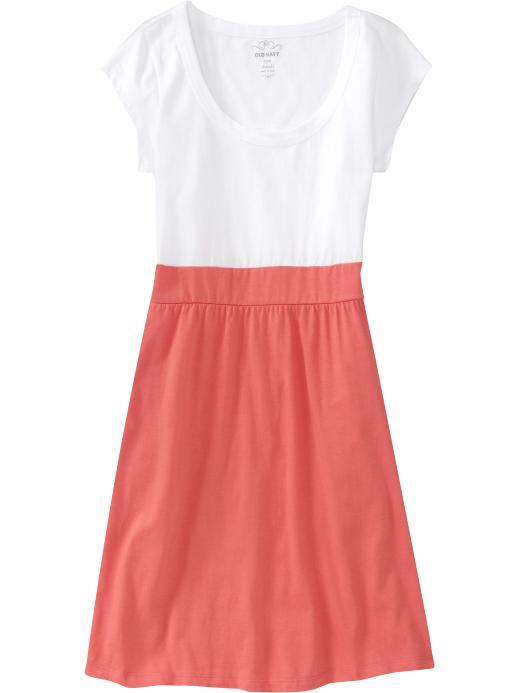 I love dresses with pockets and this one is no exception. The top fits like a t-shirt and then there's a slight a-line to the skirt so it's not super curve-hugging (who wants a skin-tight dress on in the hot summer months anyway, right?). This one is also super cute with a belt (I have a favorite gray one that I wear ALL the time) and with any sort of shoe... I can't wait to wear it with wedges! Oh... and I got it in the 'sailor-looking' print, too, with white and blue strips on top and a solid blue skirt. Ahoy matey! 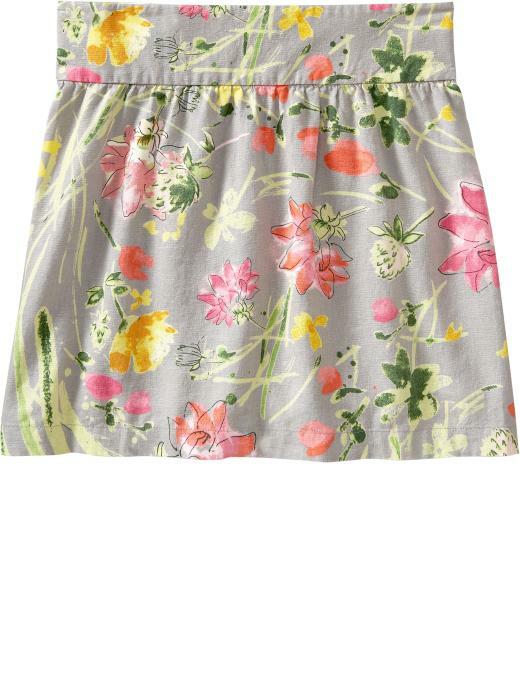 This skirt is absolutely adorable but it is a bit short (sorry you garment-wearers!). 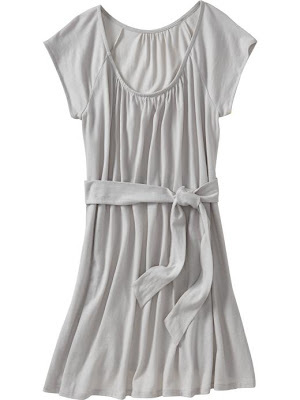 I wore it with a fitted white v-neck, tucked in and kind of high-waisted... it was precious! 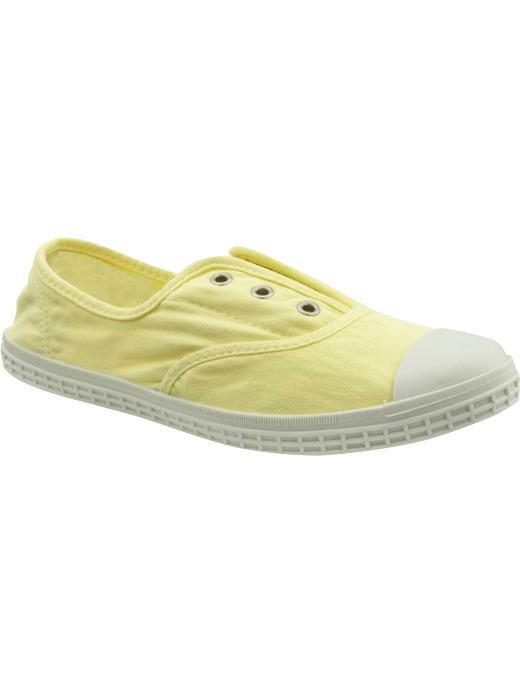 And I paired it with those super cute, yellow slip-on tennis shoes at the top of the page and it was a winner! I wore it to Hatch Family Chocolates for a dessert date with Lee.... too bad it was hailing when we left. Damn you weather for ruining my fun Spring wardrobe! I think I am done with my shopping binge for now.... surprisingly, I didn't spend all that much money since Old Navy has such awesome prices (hopefully they won't fall apart by the end of the season!!). C'mon warm weather! I'm ready for yoooooooooooou!